Let’s face it, the vintage watch market is flooded by overhyped and overpriced watches, but what about the ones that offer a lot of watch for fairly little money? If your reaction is like “Whaat? Speedmaster below Wostok?”, you need not worry. This list is not a ranking. Just a list of suggestions. There’s something for everyone on it. Both brands land up in the same entry, as you can find these watches, in decent shape, for anywhere between 40 and 150 bucks, depending on the watch. 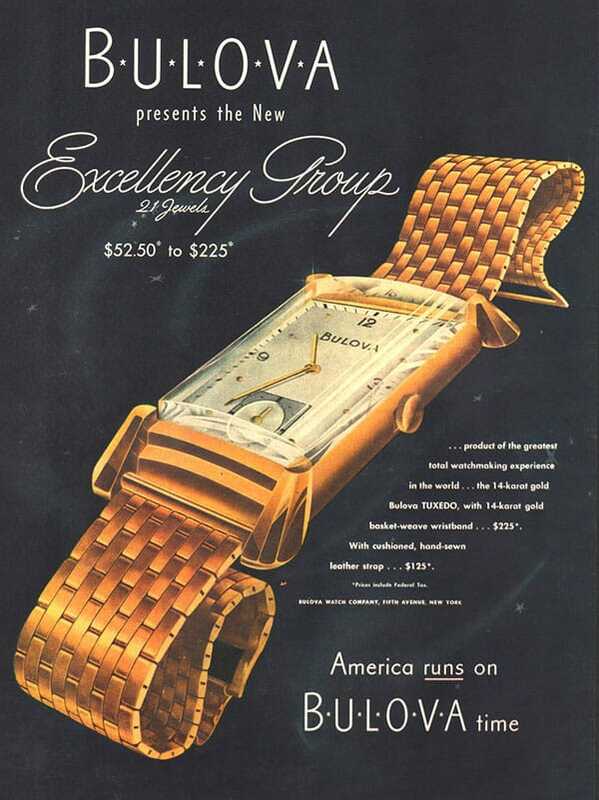 Most of the 1940s and 1950s specimens were tank or tonneau dress watches. The only real flaw of the most of them is that they usually had gold-filled cases. And, as anything plated usually is, that’s not quite good in terms of durability. But if you manage to find a specimen with the plating intact, it’s fine. They’re easy to come by in the US, slightly harder in Europe, but still, they can be had for little in both regions. A comrade from behind the Iron Curtain also makes it to this list. They’re sub-$100 watches, which offer pretty rugged hand-wound and automatic movements, for which the parts are anything but hard to come by. Not to mention, that if by any chance you get duped into a redial, you may lose $40, not $400 or $4000. Most of them were simple and elegant dress watches, none of them a shame to wear to a suit. Another “working class hero” on this list. If you’re fed up with the vintage diver hype, but still want one, the Wostok Amfibia might be a good choice. True, it might not have the appeal of a Submariner or Seamaster 300, but it’s built like a T-34 tank and priced anywhere between 60 and 200 bucks. As is the case with Wostoks, replacement parts for the movement (or even the case) aren’t much of a problem and are anything but expensive. If Joe McCarthy doesn’t influence your choice of watches, the Amfibia is an option to consider. When you’re buying from Eastern Europe (Russia, Ukraine etc. ), you might want to check the watch with a Soviet/Russian watch enthusiasts’ forum or sub-forum (I highly recommend the Russian Watches sub-forum on Watchuseek). That way, you won’t waste money on a franken (and these aren’t uncommon). One thing to remember about these watches (I don’t know if that’s the case with some specimens, or with all), is that there were some complaints about the action of the stem. Well, there’s no rose without the thorns, after all. Both Roamer and Medana were brands of the Meyer & Studeli (MST) company from Solothurn (Soleure), Switzerland. Equipped with in-house MST movements, they’re an affordable gateway to in-house movements in general. While 1940s specimens are quite lovely in terms of design and finishing, most of them had plated cases. However, a lot of 1950s Roamers featured steel, waterproof cases of a rather interesting design. Then again, if you don’t mind plated cases, there’s really nothing about Roamer or Medana, that could discourage you from wanting to get one. Avia watches were, at some point, big in the UK and you can find them for well under $100. Generic movements with an industrial finishing, no fireworks there, but the case and dial finishing and design are usually more than decent. Besides, for $30 or $50, can you really complain? The Avia Swissonic is another suggestion. If vintage electric (electromechanically controlled balance) watches are your thing, that’s one of the most affordable ways to get one. An almost forgotten and often overlooked brand. Their watches were usually equipped with excellent Peseux ebauches, which enjoy a good reputation. 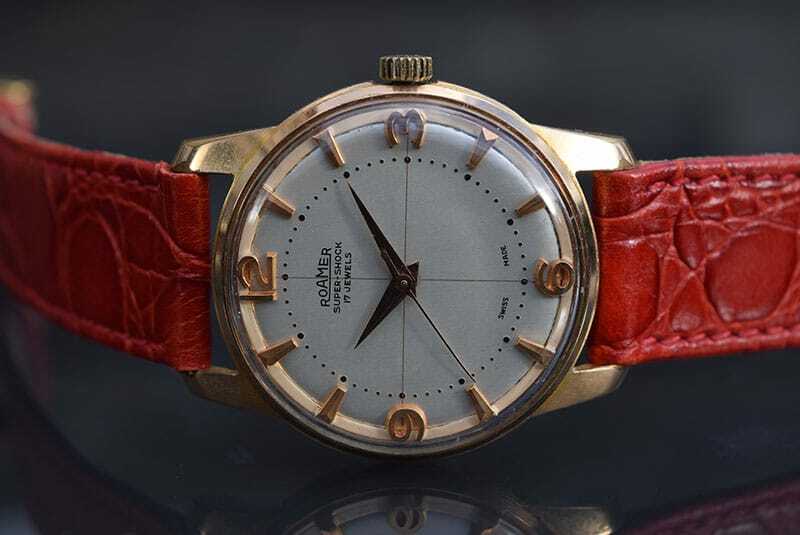 Plus, no matter if you’re looking at their watches from the 1930s or the 1960s, you’ll find a ton of very affordable specimens from every decade within that range and from the 1970s as well. Rotary is also a good choice of a solid gold watch, as their prices rarely exceed the scrap value of the case. While this might stick out like a sore thumb on this list, there’s got to be something from the “upper sets” to make it. What if you want to get a hand-wound chronograph from a luxury brand, but don’t want to pay the MSRP of a new Speedmaster? The “Mark #” series Speedies are one way to get around that dilemma. Equipped with the very same Lemania 1873 aka Omega 861 as the “Moonwatch”, the Mark II was a return to the Speedmaster’s roots as a driver’s/racing watch. You can find them for around the $2K mark, give or take 300, depending on the condition, location, whether they have the original bracelet or not. One thing worth remembering is that they had a mineral crystal which, unlike sapphire, does get scratched sometimes and unlike with hesalite, Polywatch won’t cut it when it does. Make sure that the edges are sharp and the borders between the finely brushed and polished surfaces are there. With the vintage chrono hype raging, how about a watch that you can find for under $500? Of course, you’ll have to be very patient and wait until the right specimen surfaces on eBay. But given that the total production of all the versions and derivatives of the Landeron 48 until 1970 is a whopping 3.5 million specimens, it’s unlikely that you’ll wait too long. 500 is, in my opinion, the absolute maximum of the prices for the Chronographe Suisse watches, which featured the wafer-thin gold cases by Eric Monnier. But then again, wafer-thin or not, if you want a solid gold chronograph, that’s the affordable way to get one. Well, OK- maybe save for the Pogue and the original 1960s divers. Aaand, the “Captain Willard” (from Apocalypse Now, should someone not be familiar with the origins of the nickname). That’s a lot of exceptions, I know, but it’s still little compared to the amount of all the watches that Seiko made in the 1960s and 1970s. Among that, there were the excellent King Seiko and other models equipped with high-frequency (HF) movements, the rugged and very affordable Seiko 5, early quartz (quartz-controlled stepper motor) movements, and many, many other interesting pieces. As long as you don’t buy them from India, and the caliber number indication on the dial matches what’s under the bonnet, you can’t really go wrong with that. Yep, the Eterna-Matics aren’t all that affordable any longer but you can still find a ton of good Eternas below $300, even under $200, if you look carefully. Though frankly, I’d say that in this case, you’d be better off hunting these “offline” at flea markets, thrift stores, car boot sales, charity shops or whatnot. As long as you can tell the real deal from a redial, you’re good to go. A lot of Eternas were available with full stainless steel cases and the ones with screw-in case backs are the ones you’d want to look for. Having one of these myself, my experience with these watches has been excellent. All in all, with a bit of luck, you can still find bargains out there. Just remember, that no matter what a bargain something could look like, never let your guard down and do all the necessary research. Would you like to add other brands or watches to this list? You can do so in the comments below. A nice article Michal-it`s sparked my interest in the Amphibia`s for sure. After a brief browse on the web I`d say maybe the case quality looks slightly inferior to say Seiko or Orient “divers” but hey they`re only half the price or less ! In my opinion Certina is an underrated brand was well, the’ve made inhouse movements of good quality and the dials and cases are quite well finisched. Still they don’t bring more as a €100-€150 for a decent model like Argonaut or Waterking. Indeed, there are Certina bargains to be found- to the ones mentioned, I’d also add the Club 2000 line, an entry level collection from Certina in the 1970s. However, a lot of Certinas have already been hyped… The original DS, and the chronographs are hard (and getting even harder) to find at a decent price. Wow, great. I under rated Roamers but not now after reading this article. Again, a very useful information regarding Seikos, caliber number on dial and under bonnet should match which no one cares to check. I’m glad you like the article. Concerning Seiko and the dial markings, people often fail to check that, but then again, it’s the same thing with all the other documented (either officially, or by specific collectors’ communities) brands. Sometimes it’s the illusion of safety of buying from a particular source (research not done), sometimes it’s research attempted, but not done right. So, I always try to remind people about that whenever I can. Olma – uses an ETA movement and you can find them from $100-$200 in decent condition. We had a beautiful gents Olma in the shop two years back, 40 years old and kept excellent time. The cases are fairly small which seems to put off a fair amount of UK watch collectors, but there’s a great deal to be said for buying a watch powered by an ETA movement that Cousins trade supplier in the UK STILL stocks as a spare part unit. Good suggestion. There’s a bit of a caveat emptor needed, though – there’s unfortunately an awful lot of fake Olmas on eBay, mostly from China and India (though sold from elsewhere as well, but the origin of them is usually unmistakable), equipped with Chinese clones of the FHF 96. I’m not quite certain if they have only used ETA (at least for the time-only watches – for chronographs, mostly Venus ebauches, if I recall correctly). As to parts availability, it is in a way something of a spot of luck – lots of spare parts for old ebauches are already hard to come by, sometimes leaving a donor movement as the sole alternative. To clear the air on amphibia stems: the crown is wobbly by design. These were designed for people to wind and set in less-than-ideal conditions. The crown and stem are two separate pieces and there is a clutching mechanism that connects the two. This will enable the crown to become part of the case and the stem to be part of the movement during shocks, both in the screwed down and unscrewed positions; basically protecting the movement from heavy handed winding (or explosions). It takes a bit to get used to, but it is easier when you think that it is just another way the designers made this watch bulletproof. Thanks Kraig. It might feel dodgy at first, especially if you’re not used to it. But it’s actually a great design that adds another safety to the watch.